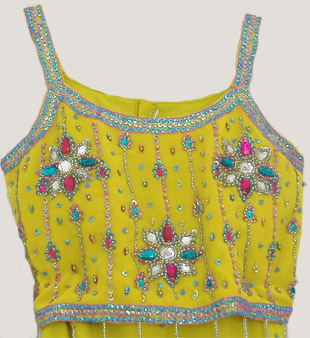 Georgette lehenga with silk blouse with extensive sequin and bead embroidery. 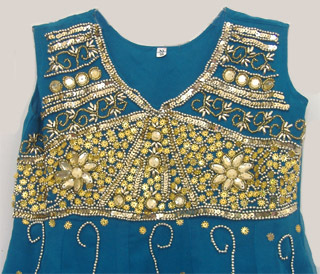 Contemporary design salwar suit with stone and sequin embroidery. 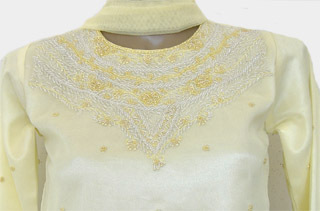 Georgette Churidar Suit in Anarkali Style with beautiful bright golden sequin and stone embroidery. 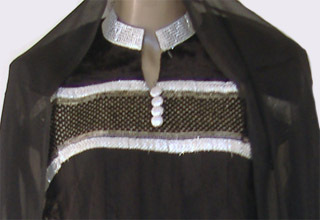 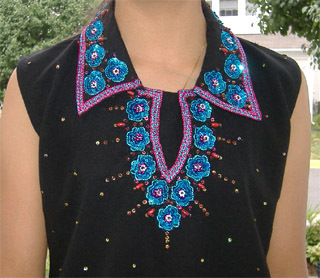 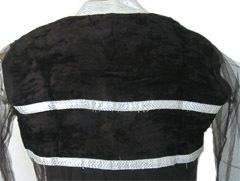 Bunty-Babli collar style black pant suit with beautiful sequin embroidery. 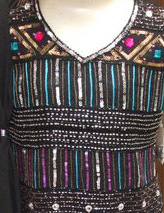 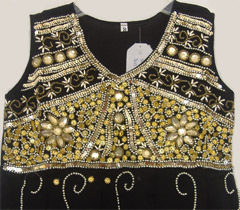 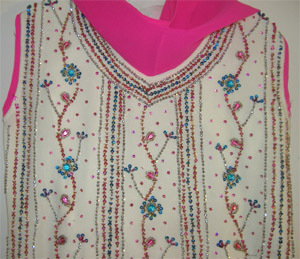 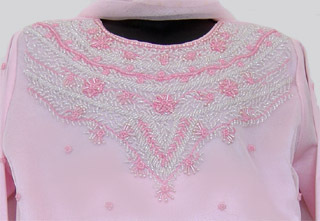 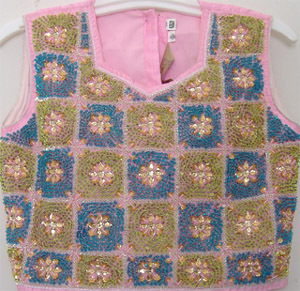 Georgette Churidar suit with beautiful bead and sequin work.